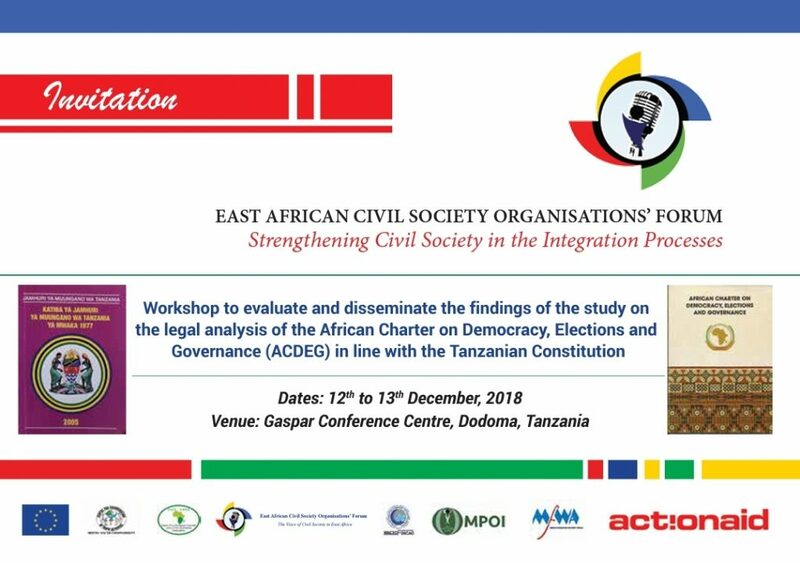 Joint Meeting by ActionAid, EACSOF with the EAC Political Affairs Department on issues concerning the Implementation African Charter on Democracy, Elections and Governance (ACDEG). Communique of the Consultation on the evolving Peace Process Bujumbura, Burundi. EACSOF underwent a training done by Green Light Project on preventing Violence Extremism in Tanzania.